Dr. Tamra Adams graduated from University of California at Santa Cruz, earning a BA in Chemistry and Biology in 1982. She obtained her DDS degree in 1986 from the University of Southern California and has been practicing Dentistry in Marin County since that time. 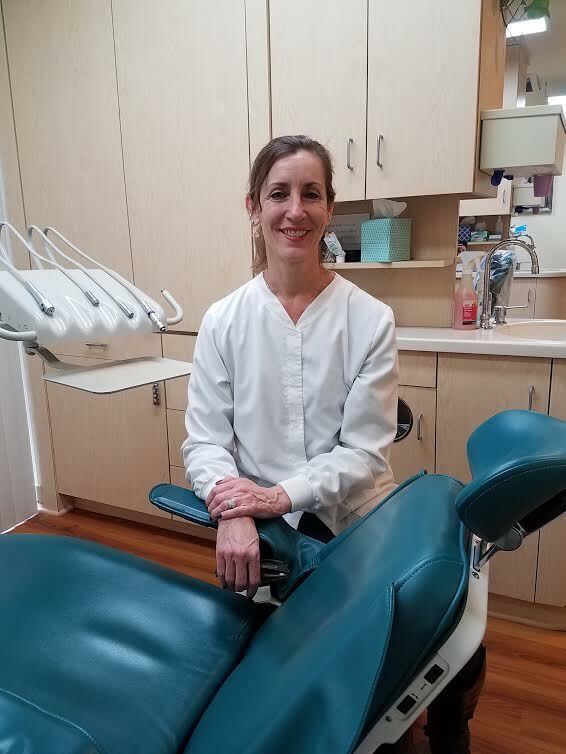 Dr. Adams has been a member in good standing of the Marin County Dental Society, the California Dental Association and the American Dental Association since she originally earned her Dental License in 1986. She is an Assistant Clinical Professor at UCSF one day a week. Dr. Adams believes strongly in giving back to the community. She has been a supporter of the National Foundation of Dentistry for the Handicapped since 1996, donating her time and services treating mentally and physically handicapped persons. She has been to Nicaragua with Global Brigades donating Dental Services and doing some construction as well and has been to Jamaica donating Dental Services with 1000 Smiles. She also enjoys working with COTS (Committee On The Shelterless) doing a variety of things to help the Homeless Community. Dr. Adams has been a regular contributor to Can Do!, supporting local grade school and middle school children in the Dixie School District, since 2006. Dr. Adams was born and raised in Marin County and presently resides with her husband and son in Novato. Anna has been working in our office since February 2015. She attended dental hygiene school at Santa Rosa Junior College. She was born and raised in Sonoma County and currently lives in Petaluma with her husband and 3 dogs. In her free time, Anna enjoys cooking, shopping, hiking, exercising, and spending time with friends and family. Her plans for the future include buying a home, traveling, and one day starting a family. Selina was born and raised in Marin County and now lives in Petaluma with her dog, chickens, peacocks and fish. She recently graduated from Dominican University. Selina loves to spend her free time with animals, especially horses. She participates in and coaches vaulting on horseback. Selina is also an avid handcraft person, projects including woven bracelets, candles and flavored vodkas.